Site Scan gives you the opportunity to share your project's information with team members, clients, and other project stakeholders. This can be done under the Team menu where you will be able to visualize the total members (all type of access licenses) and the Active licenses (active licenses- excludes read only / paid licenses). New users can be invited with "Administrator", "Full Access" or "Read Only" rights. For additional information regarding the type of permissions please see this link. 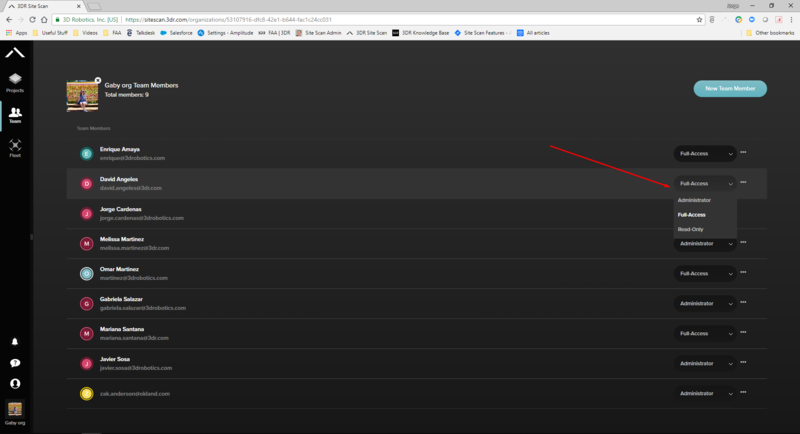 If you want to add users to your organization click on the "Team" tab on the left of Site Scan, then click on "New Team Member" and this will open an interface where you can add the new user's email and name. Do note that on this same menu you can always update any user's credential type. 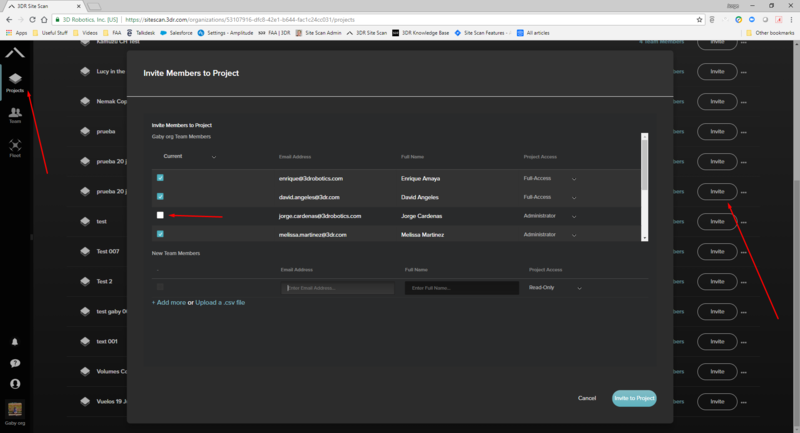 If you want to add a user to a specific project, you can do so by clicking the "Projects" tab in Site Scan, choose the project you need to add a new user and click on the "Invite" button and choose from your existing team members or add a new user. 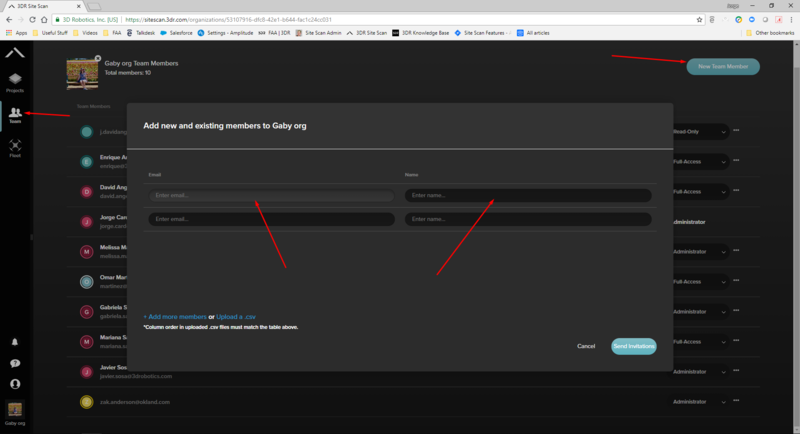 Notice on the screenshot that the user is an Administrator for this organization however he is not added on this project and his checkbox is empty. Since the "Administrator" is not part of this project but has Admin rights in the organization he can add himself or any other member.